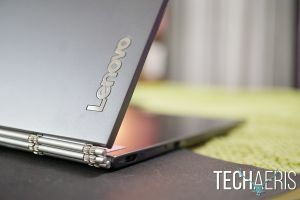 We’ve been reviewing Lenovo products here on Techaeris for a few years now and over that time we’ve watched the company continually improve their products. 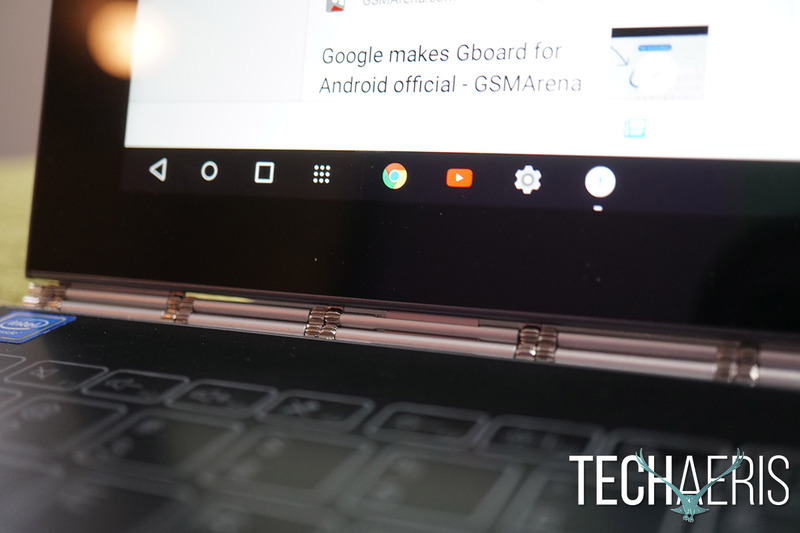 The Yoga line of devices have consistently been some of our favorite devices so how does the Yoga Book Android version fare? Find out in our full Lenovo Yoga Book Android version review. 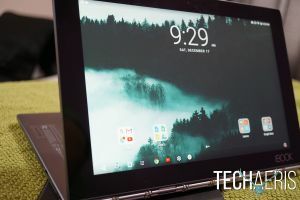 Lenovo computers and tablets are among the best looking on the market and have a consistent high-quality build. The Yoga Book is no exception here, especially with that watchband-style hinge that has become the Yoga trademark. The whole device is made from high-quality metal, except the display and keyboard which are both very durable. The Yoga Book is still very much a tablet with an attached keyboard, and is very thin even with the keyboard folded back. 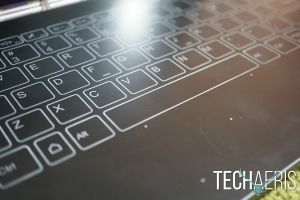 Many hybrid PC/tablet devices tend to be bulky in tablet mode, making them almost too heavy to be a tablet for long periods of use. 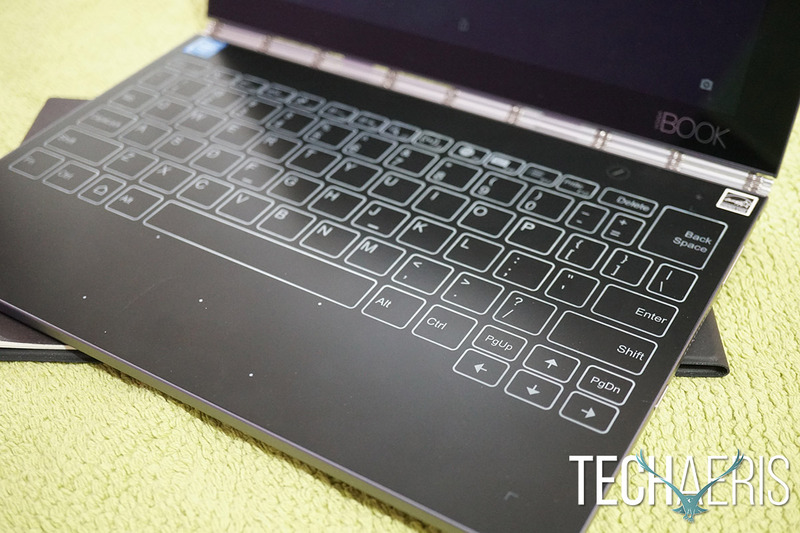 The Yoga Book manages to maintain its slimness but it does add a bit of weight with that keyboard. 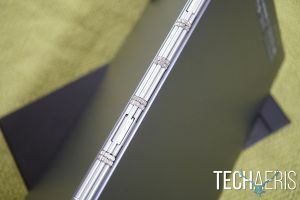 Along the right edge of the keyboard, you’ll find the headphone jack, volume rocker, speaker grille, and power button. Along the left edge of the keyboard is where your MicroUSB port, microSD card slot, mini HDMI port and second speaker grille live. The top and bottom have nothing else on them and the hinge is Lenovo’s amazing watchband-style hinge. The front display houses the camera module and the opposing panel is where the Halo keyboard is housed, more on the keyboard later. Overall, this is a sleek and high-quality design and is really well built. My only complaint on the design would have to be, it can be a pain to open the tablet, you really need both hands to handle this. With a full HD resolution of 1920×1200 and a 400nit brightness, this is really a top notch display in terms of consuming content. The brightness is amazing and works well even outdoors. The blacks are deep and the colors are rich and slightly oversaturated. On-screen text is crisp and sharp and gestures work well and are fluid, including pinch to zoom and scrolling. Overall this is a good display experience but where it does start to fall apart is in Android apps that aren’t optimized for tablets. That experience isn’t so fun. Running on Android 6.0.1 the Yoga Book attempts to bring you a better experience on a tablet than Android normally does. 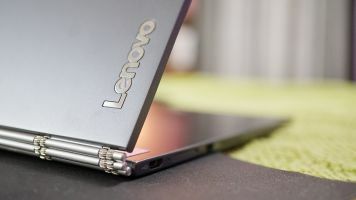 The problem is it just doesn’t work very well despite Lenovo’s best efforts to make this into a Windows-like experience. 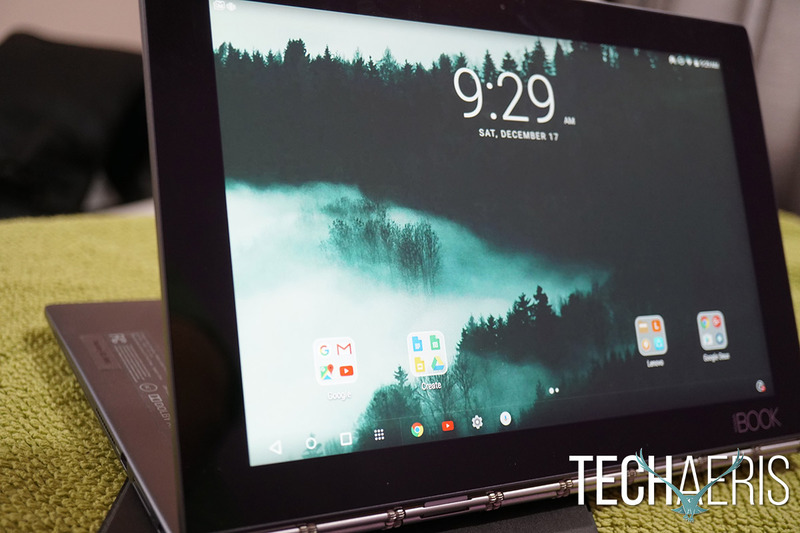 There is a dock at the bottom that is kind of convenient and Lenovo is trying to give you multi-window support for apps, but not all apps want to play nice. Lenovo has its own software onboard for drawing, note taking, and syncing and its okay but not mind blowing. The Halo keyboard is another twist thrown into the mix and it’s actually really nice. 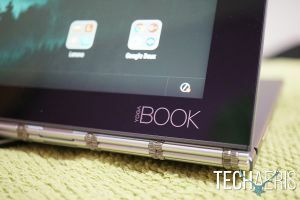 The capacitive keyboard shows up on the black slate part of the tablet when you invoke it. You can choose to hide the keyboard in order to use the included stylus on the same surface. The keyboard is a capacitive style keyboard with haptic response when you type. It takes some getting used to but it is possible to get the hang of it quickly. 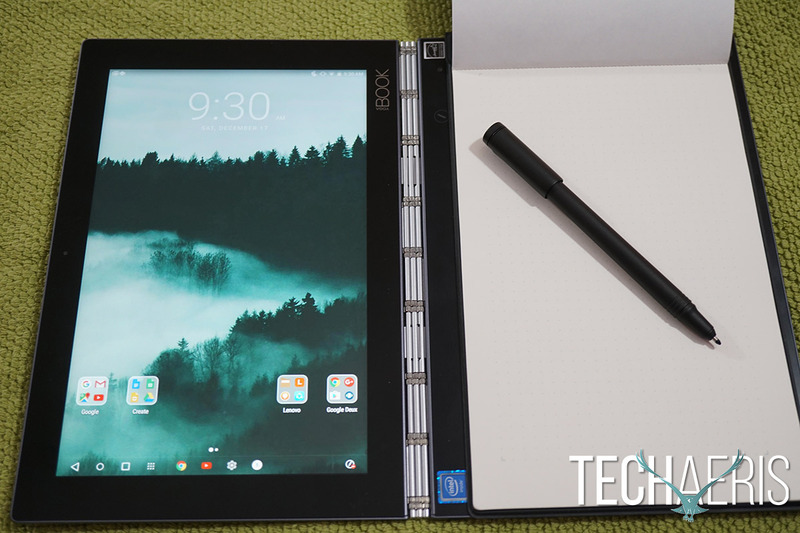 Where this tablet does shine is in its drawing abilities. The included Lenovo art app is pretty nice and there are a nice handful of Android apps on the market that work well too. The Stylus is responsive and can be controlled gently or aggressively and allows for some precision pieces of art to be made. I dabbled in art and drawing in my younger years but I am certainly no artist in that medium. I did have fun sketching a few things and doodling and I found that drawing and using the Lenovo Stylus on the Yoga Book was the best experience of the whole tablet. 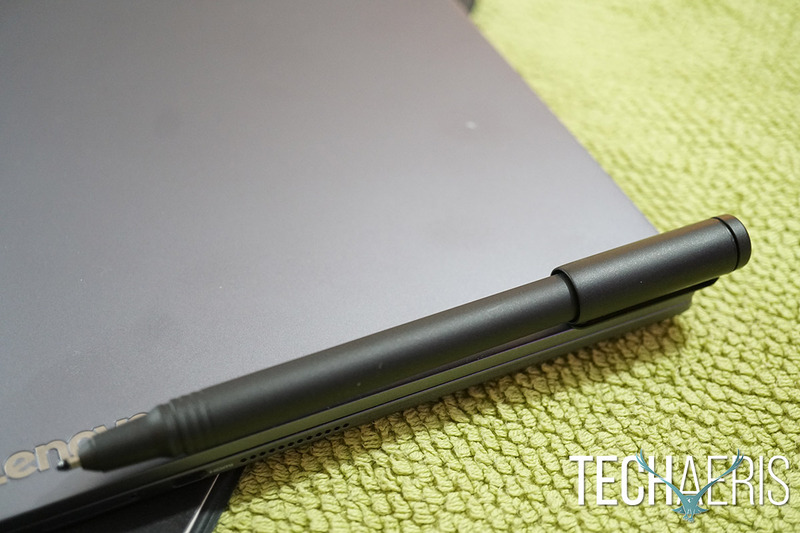 The included Lenovo software also adds a handwriting to text feature where you can write on a pad of paper (included) with the stylus pen tip and it will transcribe into a notes app for you. This could be a great function for note takers and meetings if you prefer to write rather than type. 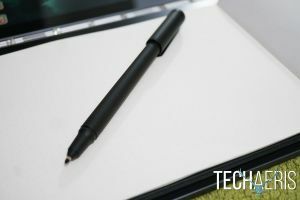 This way all your handwritten notes are digitized on the spot and you can share from the app as well. Overall I’d say Android really holds this tablet back, only because many Android apps just do not look good on 10″ tablets. If you’re an artist with an inventory of Android drawing apps you love, you’ll probably really enjoy using this as a drawing tablet. 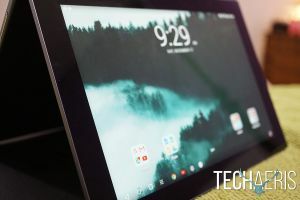 If you’re just looking for a tablet, the app experience is still weak on Android. With an Intel® Atom™ x5-Z8550 Processor and 4GB of RAM the Yoga Book works really well with just about anything you can throw at it. Streaming content, gameplay, documents, browsing, email any of the normal tablety stuff you can think of. The Yoga Book is also designed for drawing apps and their performance is also really good, communication between the pen, writing surface and tablet are well in-sync. The speakers are located alongside the keyboard which is a great placement from other similar devices. The sound never gets muffled from being folded over or placed on a table. That being said, the speakers are what you would expect from a device this size. They’re not particularly dynamic but they are loud, they just have a bit of shallowness to them. They’re probably good enough for light media consumption but if you want dynamic range in your music or movies, I’d recommend headphones or a nice paired Bluetooth speaker. The camera is decent, not sure who still uses a tablet camera but really, people shouldn’t. It works well for Google Hangouts or Skype type apps but certainly not going to even replace your smartphone camera for picture quality. Battery life is very subjective and dependent on how you use your Yoga Book. Brightness matters, apps matter, there are just a lot of variables to take into account. The drawing apps do seem to pull a bit more battery so there is that to consider as well. 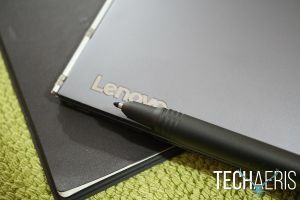 Lenovo claims 15 hours in general usage (define that one) but we saw just around 10 hours. Software updates might be able to help the battery life and we’ve seen a few updates since we first tested but haven’t retested since. 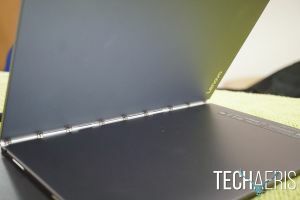 The Yoga Book Android version is priced aggressively at $499.99USD and the design and build quality may command that price but Android knocks down the value here. Beautiful design, great build quality, drawing experience with stylus is wonderful. Android apps aren't great here, speakers are weak. 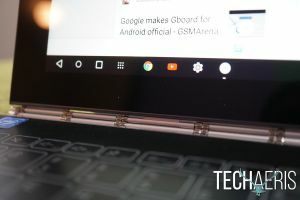 The Lenovo Yoga Book is a nicely built tablet with great specs, sadly, Android still doesn't look good or work well on a tablet. We'd recommend you look at the Yoga Book Windows 10 version. The Windows experience is better built for this type of device, unless you're an artist who happens to like the Android art apps and the Lenovo software already on the tablet. As a drawing tablet, this is a real nice device. *We were sent a review unit of the Lenovo Yoga Book Android for the purposes of this review.